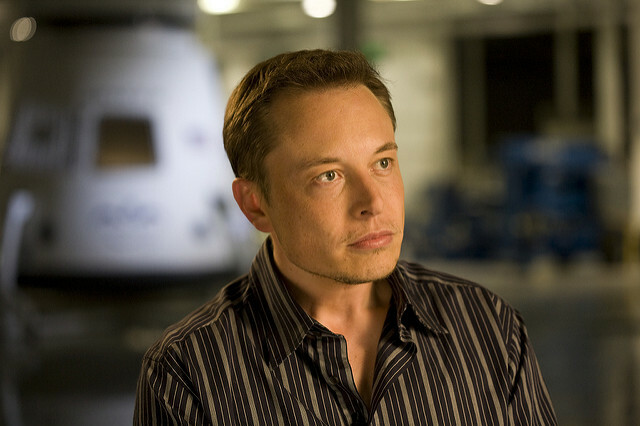 Tesla and SpaceX CEO, Elon Musk said Wednesday he would step down from his official advisory roles with the Tump administration if the President followed through with his plan to leave the Paris Climate Accord. 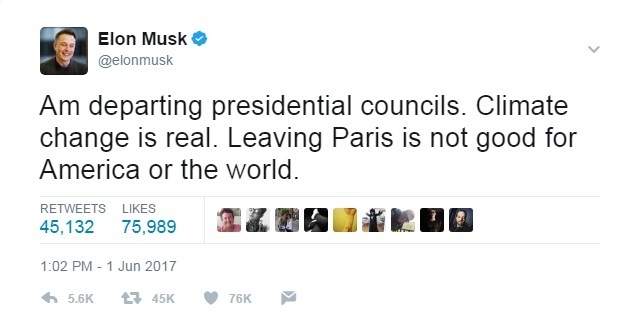 Musk followed through with his promise by announcing on Twitter his decision. Musk had said he thought it was important to put his differences with Trump aside so he could have a seat at the table. Some have praised Musk’s decision to leave the administration while others have said that Musk will do more harm than good by stepping away. General Motors CEO Mary Barra and IBM CEO Ginni Rometty will remain on Trump’s business advisory council.